Clarence Lai has become a most prominent figure in Airsoft. His work as an Airsoft gunsmith and with the IPSC has helped him to gain recognition and respect the World over. From the resplendent beauty of his one-off pistols, to his active work in promoting the IPSC in Asia, his work within the Airsoft community is highly admirable. Not only has Clarence assembled custom guns for some of the most notable race shooters around the world (including the owner of Infinity Pistols), he has also provided many of his creations for use in films. It all started when at the age of 7, Clarence first started playing with guns, and from this, a passion for all things gun-related was born. His intrigue in the workings of the gun as well aesthetics naturally led him towards becoming a gunsmith, and is also partial to participating in shooting competitions such as the IPSC (Clarence was the first foreigner to take part in the IPSC Japan competition), which took him to countries such as Taiwan and the Philippines, using both Airsoft and real guns. In fact, CL was responsible for helping to bring the IPSC to Hong Kong and still plays an active role in promoting the IPSC in Hong Kong. Now, Clarence has almost two decades of experience as an Airsoft gunsmith, and produces an array of custom guns and upgrade parts under his own brands - Airsoft Surgeon/CL Custom. 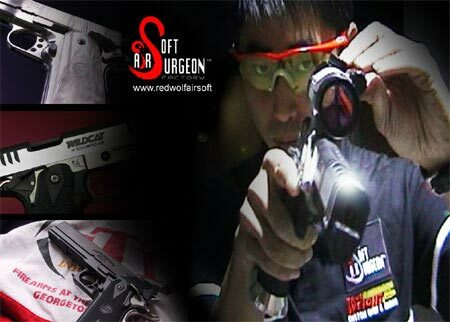 After co-founding a well-known Airsoft shop in Hong Kong, he moved on and went independent, from this Airsoft Surgeon/CL Custom was conceived. Clarence continues to play an active role in the airsoft IPSC shooting community, as well as in the real steel shooting competitions. Two of Clarence's upcoming Custom guns: the USP .45... ...and the Colt Anaconda. If you've ever seen, touched or even owned one of CL's custom guns, you will be familiar with the craftsmanship that goes into his work. 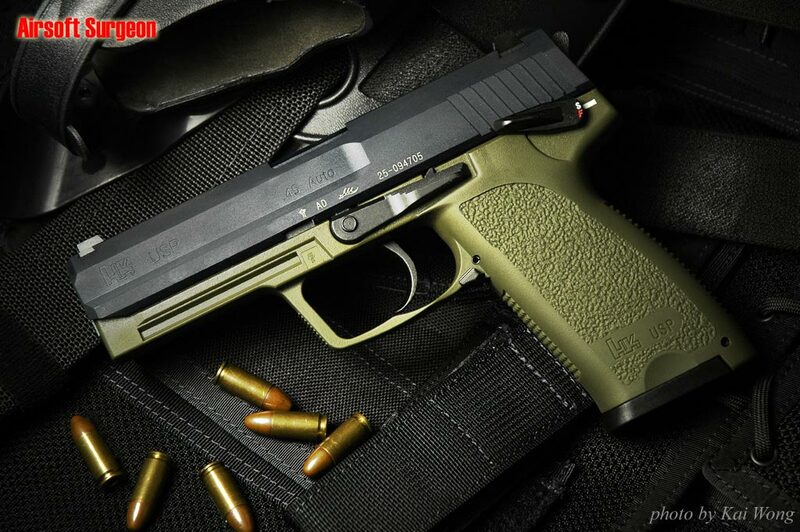 His pieces are built with passion and stand out from the crowd of mass-produced airsoft guns. They are like works of art, using hand-crafted parts and hand built by CL himself. From IPSC competition parts, down to the intricate details such as the fish-scale slide, he fabricates the parts from scratch, building the gun up from scratch, CNC-machining parts like the slide from a solid block of aluminum/steel. There is a certain adroitness and adeptness in his work that really has to be seen to be appreciated. CL does simple upgrades, up to completely bespoke, tailor-made guns to the specification and requirements of an individual customer. Clarence also does a number of upgrades for GBB pistols, AEGs, shotguns and rifles for Redwolf customers. Take a look at a list of some of the upgrades he does, he has just recently created two NEW upgrade options for the Tanaka M870 - there is a Upgrade service to raise the performance to 450fps and also a shell upgrade service to make the shells shoot 380fps with a standard gun. Take a look at some of the Airsoft parts available exclusively at Redwolf Airsoft. IPSC is an internationally recognized timed race shooting competition. It tests accuracy and speed, and presents shooters with various "obstacle courses" which they need to complete in the shortest amount of time. 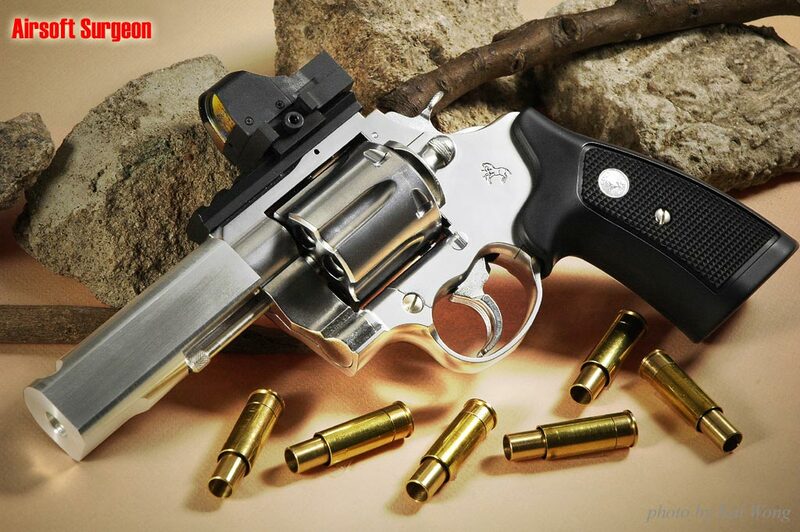 We have put the exciting IPSC (International Practical Shooting Confederation) promotion video in youtube.com, you can simply click the movie below to watch the awesome video.